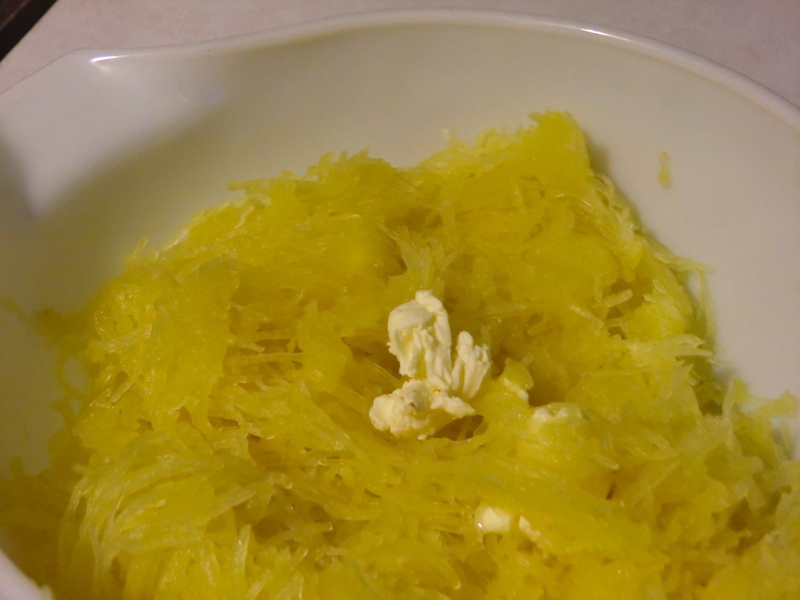 Roasting spaghetti squash is probably the simplest method of preparation but also enhances the sweetness of the squash. 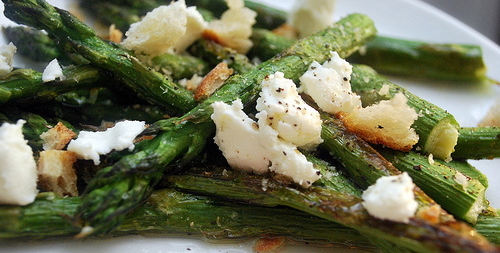 Combined with slightly crunchy asparagus, aromatic red onion, and the tangy creaminess of feta cheese, and you have a side dish perfect for any season. Serve with your favorite grilled meat this summer or pork tenderloin in the fall. 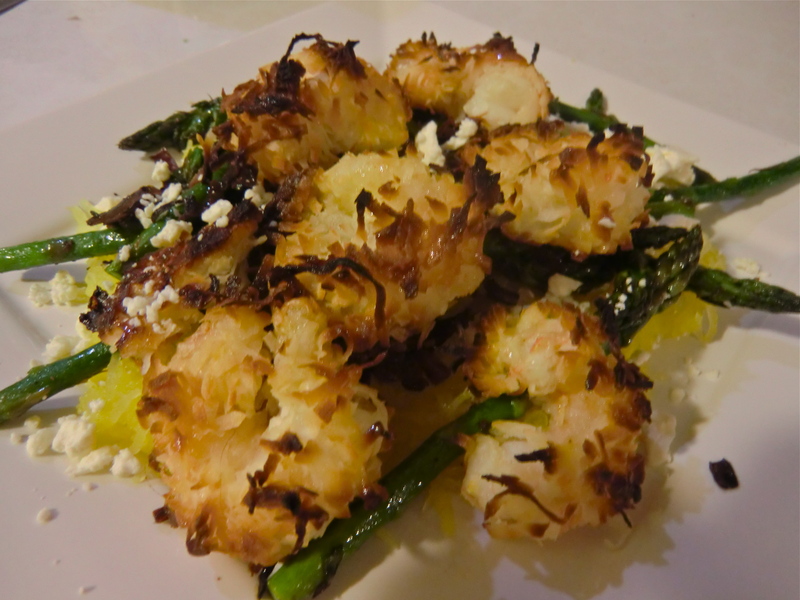 See this summer recipe for Coconut Shrimp – delicious served atop the recipe below. 1. Preheat oven to 375°F. Fill a deep-walled baking sheet with 1 1/2 to 2 inches of warm water. 2. 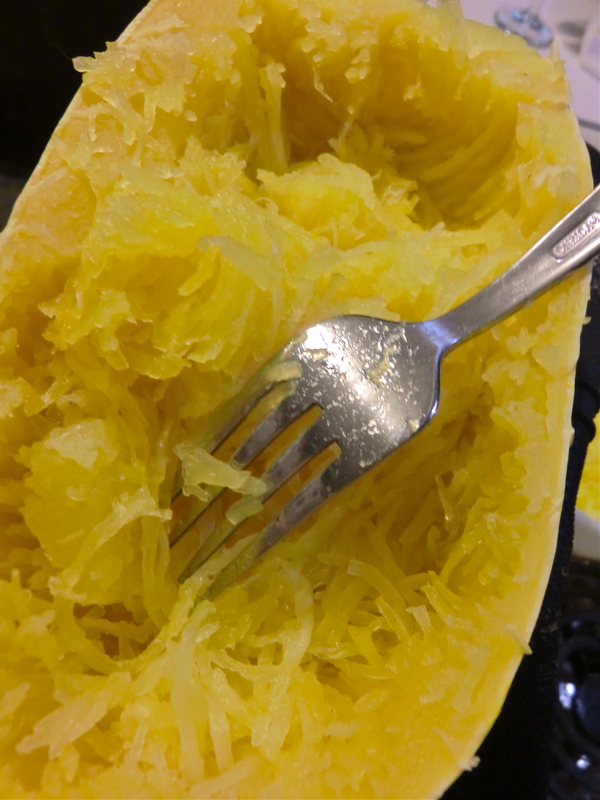 Using a sharp knife remove the leftover piece of stem and cut the spaghetti squash in half. 3. To remove the seeds and “inards” of the squash, firmly grip the handle of a fork or, even better, a grapefruit spoon and gently scrape the walls of the squash until the center is clean. Repeat with other half of squash. 4. 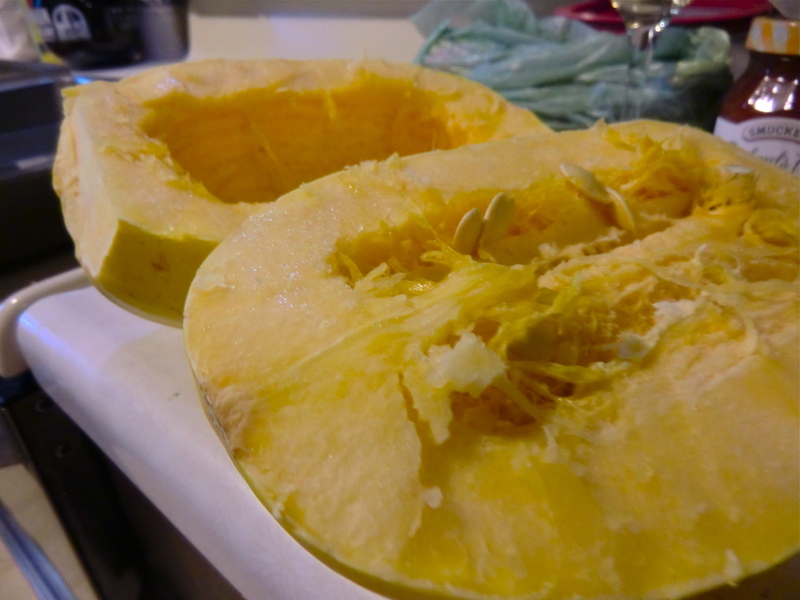 Place both squash halves center-cut down into the water-filled baking sheet. 5. Bake for 30 to 45 minutes until, the skin can easily be pierced by a fork. Remove from oven, pour out water, flip squash and let cool for 10 minutes. 6. Heat olive oil in a non-stick skillet or frying pan over medium-high heat. 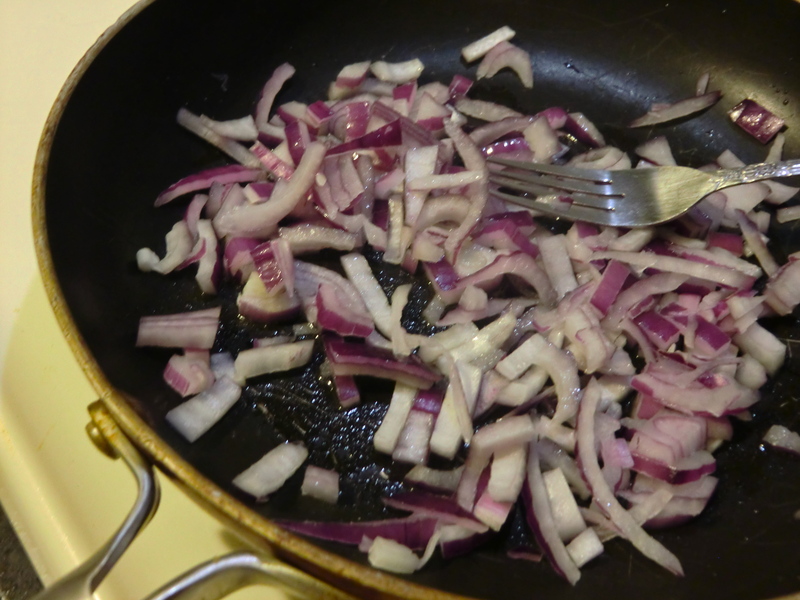 Add red onions and cook, stirring occassionally, until slightly transluscent, approximately 2 minutes. Stir in asparagus, cooking until tender – a little char is preferred, as it adds a modest smokey flavor and extra crunch. Top with crumbled feta, a dash of garlic powder, and black pepper to taste. Turn the heat to low. 7. 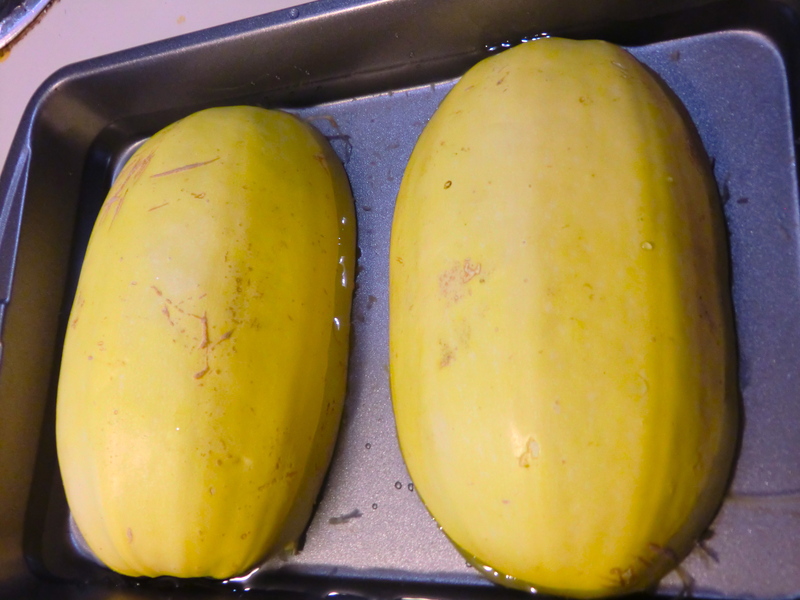 Grasp one half of the spaghetti squash with an oven mitt and loosen squash with a fork. Scoop squash into a large bowl; repeat with other half. Stir in 1 tbsp of soft butter until fully melted. 8. Spoon 1 cup spaghetti squash onto the center of a clean plate. 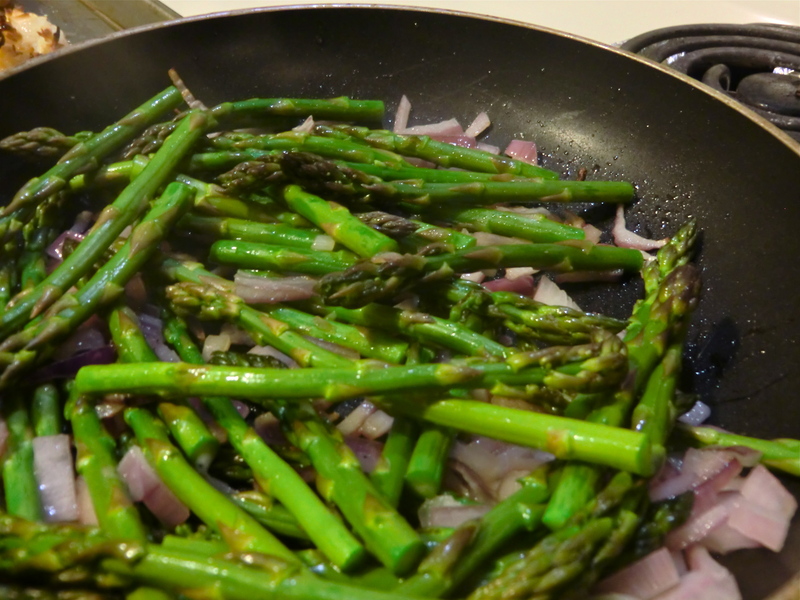 Top with a heap of the prepared asparagus mixture. If your mouth is watering, please support and subscribe to Life With a Little Spice!